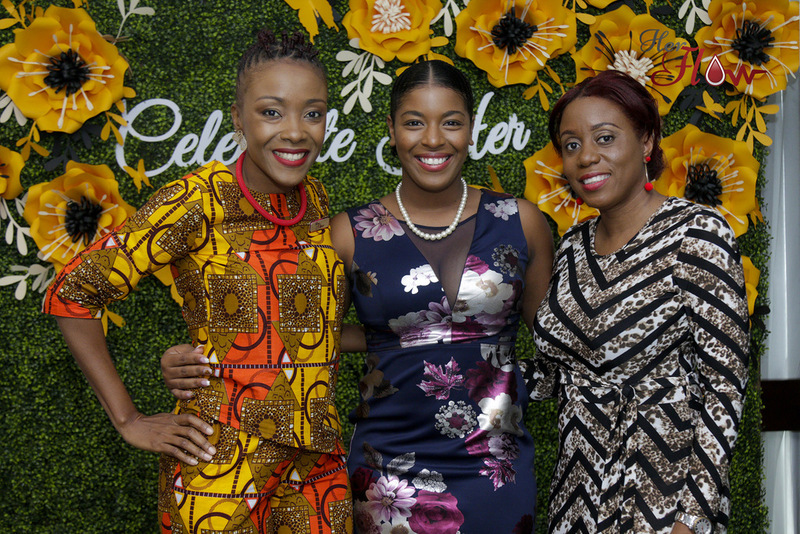 From left: Shelly-Ann Weeks, founder of HerFlow; Guest Speaker, Miss Jamaica Festival Queen 2018 Ackera Gowie; and Renee Rose, Curves brand manager mirror bright smiles at the HerFlow Celebrate Her Unsung Sheroes Awards Brunch. Countering the notion that women do not support women, HerFlow founder Shelly-Ann Weeks in partnership with LASCO Curves honoured 12 women for achieving significant goals in business and positively impacting her community with the launch of the HerFlow Celebrate Her Unsung Sheroes Awards brunch at the Jamaica Pegasus recently. The inaugural Unsung Sheroes— Wine Down for Charity founder Sabrina Webster; Youth Can Do IT founder Lianne McNaughton; social advocate Danielle Terrelonge; the Cosmic Wombman founder Ramona Riley; Tamar’s Redemption founder Joseth Brown; mental health advocate Monique Lynch; Girls Who Know Ja founder Chelsea Wright; Operation Love founder Celia Steele; I am Woman. 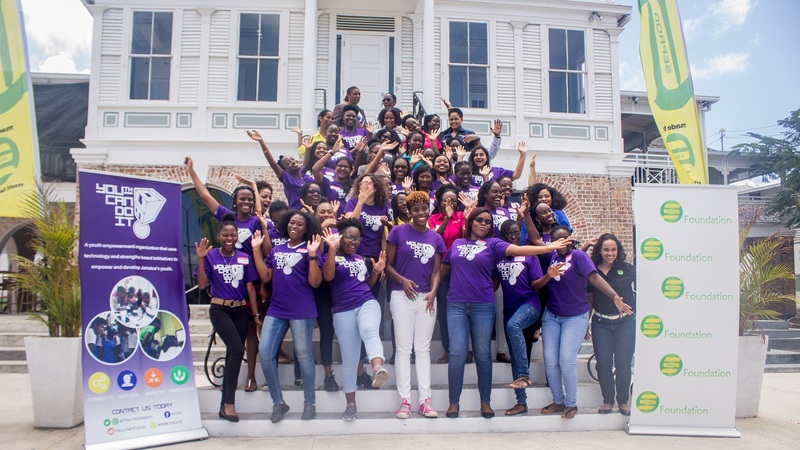 Period founder Trish-Ann McTaggart; the Angelic Ladies Society founder Sara-Lou Walker; and I'm Glad I'm a Girl founder, Nadeen Spence. — were celebrated for their philanthropic work in areas, such as female empowerment among women and girls, education, mental health care, advocacy for victims of abuse, etc. Shelly-Ann Weeks, founder of Her Flow Foundation congratulates Unsung Shero honouree Lianne McNaughton of Youth Can Do it. 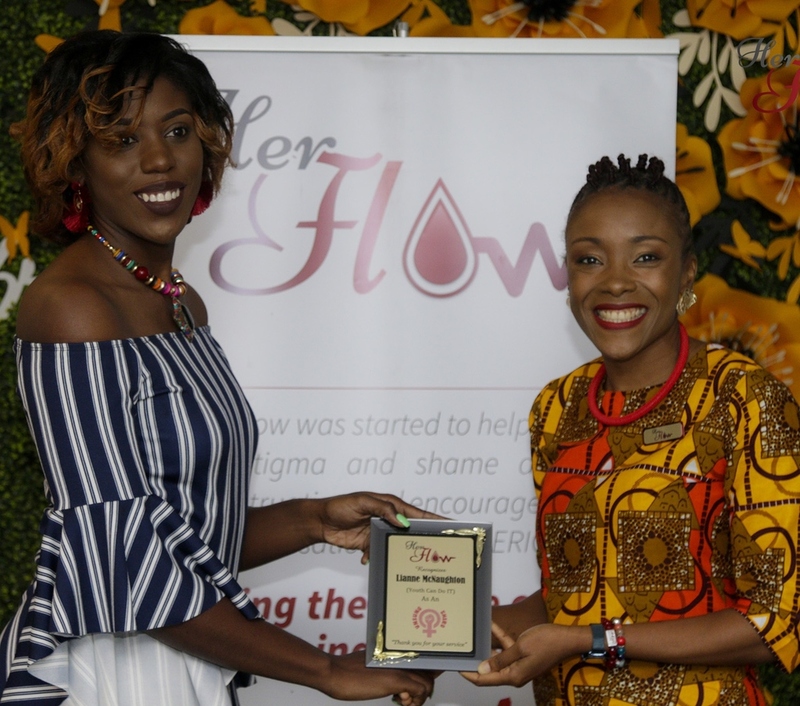 A surprise award was also given to public relations consultant Toni-Ann Kelly, who used her birthday as a platform in support of HerFlow. Noting that philanthropic work is “hard work” Week encouraged each woman not to let the public’s idea of “humility” dim their light or silence their voice. “There are women feeding the homeless out of their pockets. There are women reading to the mentally ill. There are women who raise money. But we don’t hear about these stories,” Weeks said. 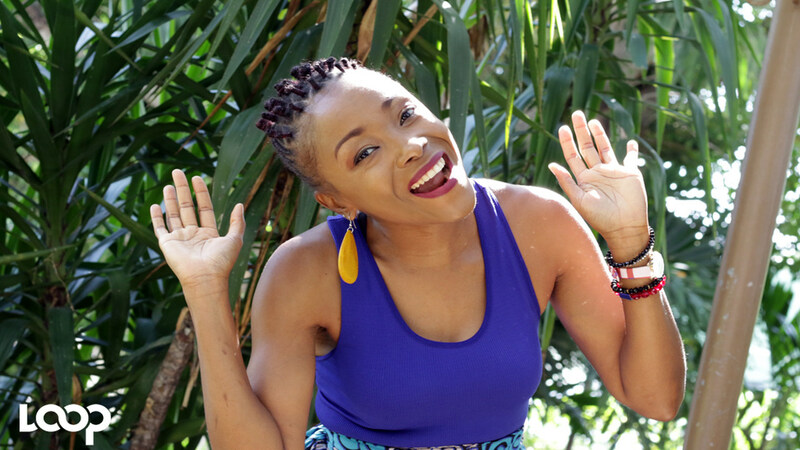 “It is not about accolades because all of us here know we don’t do it for that, but when you get it tek it. Embrace what comes with what you do. Embraces the accolades. Embrace the good stuff because we know you are not afraid of embracing the work,” she continued. Unsung Sheroes Joseth Brown of Tamar Redemption (left) and Operation Love founder Celia Steele proudly display their plaques. Each awardee received a plaque recognising their service and gift baskets from LASCO Distributors through their Curves brand. Weeks also thanked LASCO for taking an active role in women’s issues advocacy through sponsorship. 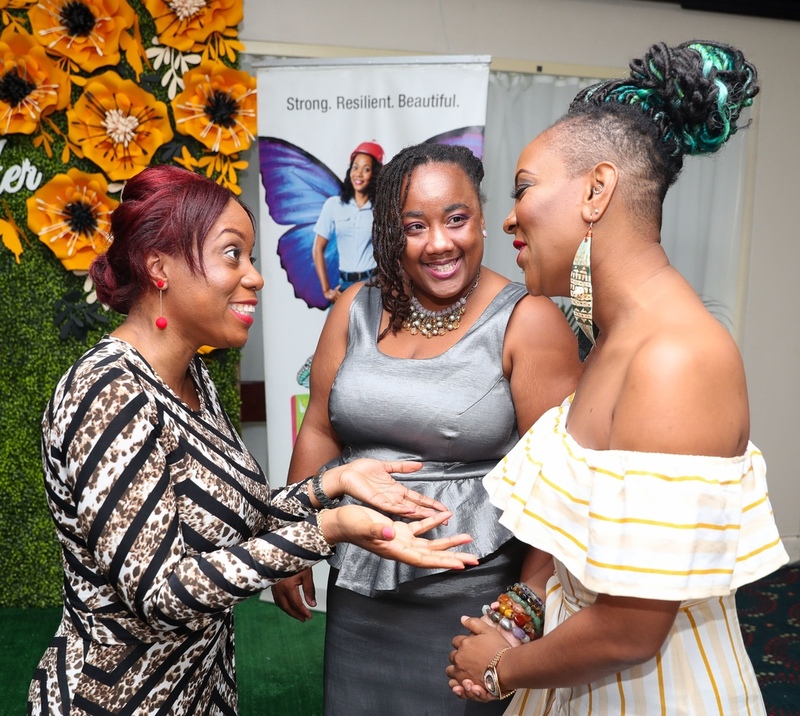 Renee Rose, Curves brand manager, who was on hand to personally celebrate the honourees on Sunday, said it was “most fitting” to be associated with HerFlow as both brands target females. “There are many phenomenal women who are selfless in their mantra to uplift, support and empower other women, so Curves wholeheartedly supports some of these women through HerFlow in recognition of International Women’s month,” she said. 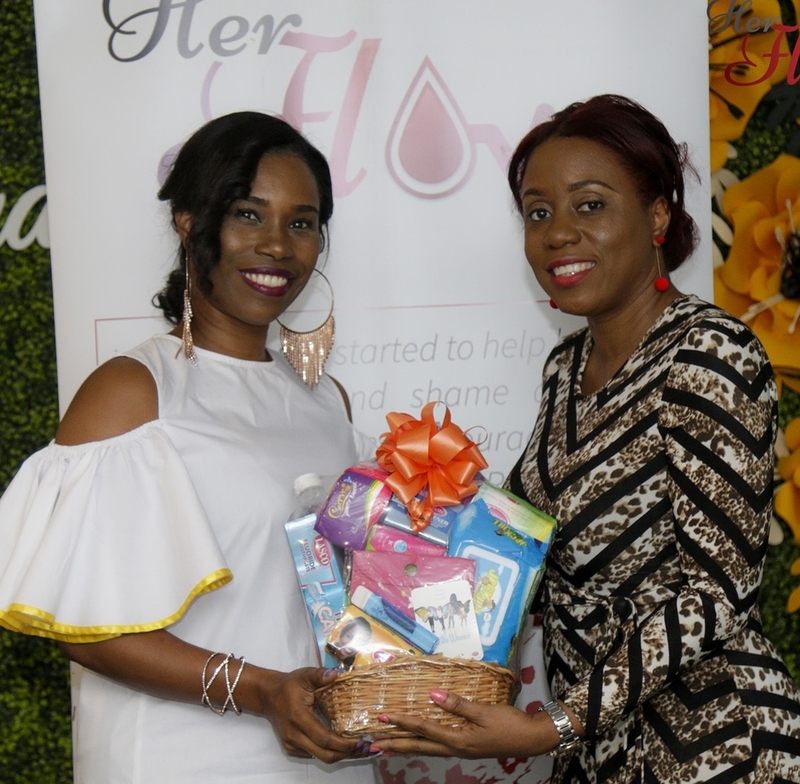 Unsung Shero Danielle Terrelonge in showing her gratitude for the award also issued a challenge to the guests to buy Curves sanitary napkins to end period poverty. 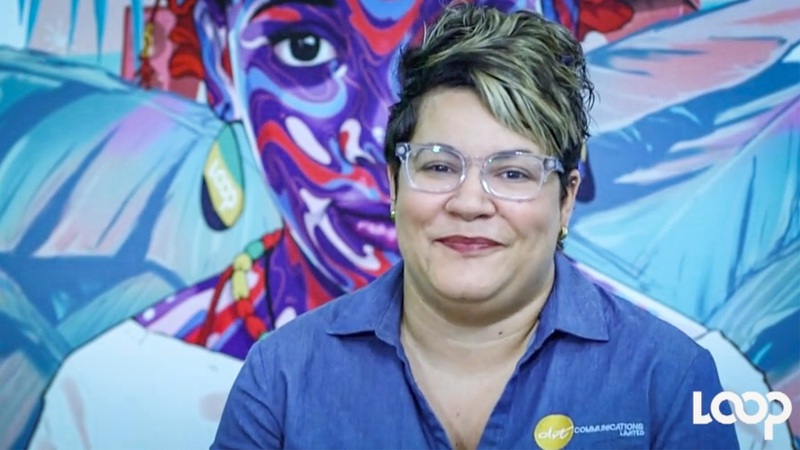 She set the bar by first purchasing 20,000 dollars or what she described as “30 periods” and challenged attendees to not only be inspired but to take action for the cause. Renee Rose (left), Curves brand manager commends, Unsung Shero Honourees, Ramona Riley (right), The Cosmic “Wombman” and Sara-Lou Walker of the Angelic Ladies Society, for their tremendous work serving women at the Celebrate Her Unsung Sheroes Awards and Brunch. “The event to me is more than women and periods. It is something much deeper. It’s about awakening in each woman a sense of purpose and belonging and having heard so many people speak today, I feel empowered leaving here to do what I was born to do,” said Malcolm. 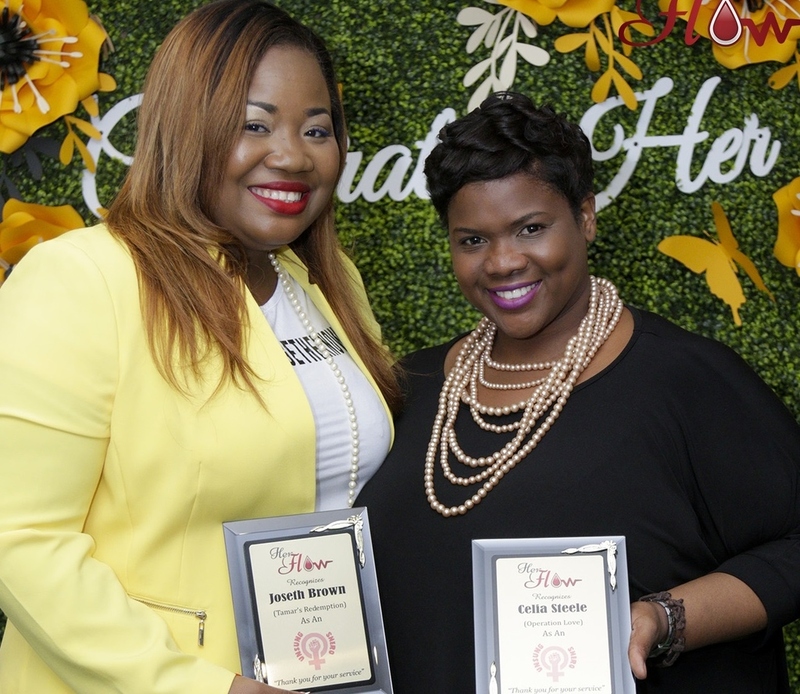 Renee Rose (right), Curves brand manager presents a token of appreciation to Unsung Shero honouree Sabrina Webster (left) of Wine Down for Charity. Weeks said her ultimate goal is to make the award a grant that the awardees can utilise to help further the good they do. For the other “unsung sheroes” still in the room, Weeks promised a bigger affair next year where they would have a chance to be truly feted and celebrated.